For existing customers with a current Porsche Financial Service lease. 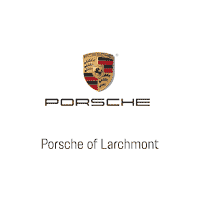 Porsche Larchmont is now offering an upgrade into a new Porsche model. Up to 3 months / All Models & Model Years. *Porsche Financial Services will waive up to the specified number of remaining monthly payments for select existing lease customers who return their vehicle that is currently leased with PFS and lease or finance a New 2018 (Panamera/Macan) and all 2019 Porsche model vehicles. Customers whose payments are greater than $2,500 are eligible to receive the $2,500 maximum. Must currently be in a 24 month or above lease to be eligible for this program. Offers expire 4/30/19. See dealer for complete details.